The death and carnage of more than 50 million people in World War Two lasted from 1939 to 1945. This year 2015, has witnessed a number of emotional anniversaries commemorating this cataclysmic event in world history. Brilliant Wall Art endorses the nation’s commemoration and respect, paying tribute to the fallen, with their iconic WW2 wall art designs. The 70th anniversary of Victory in Europe (VE) Day was commemorated on the 8th May 2015 and Victory over Japan (VJ) Day commemorated on the 15th August 2015. Tuesday 18th August 2015, was the 75th anniversary of the “Hardest Day”. This was the name of the air battle fought during the Battle of Britain on 18th August 1940 between the German Luftwaffe and UK Royal Air Force (RAF). The Battle of Britain started on 10th July 1940, finishing on 31st October 1940. By June 1940, the Allies had been defeated in Western Europe and Scandinavia. The invasion of the United Kingdom was codenamed Operation Sea Lion. However, before this could be carried out air superiority was essential to the Germans. The Luftwaffe had to destroy the RAF in order to prevent it from attacking the invasion fleet or providing protection to the Royal Navy's Home Fleet. On 18 August 1940, the Luftwaffe made an all-out effort to severely damage RAF Fighter Command. The air battles that took place on this day were amongst the largest aerial engagements in history. Both RAF and Luftwaffe suffered very heavy losses. More aircraft were destroyed on this day than at any other point during the campaign, including the Battle of Britain Day, generally considered the climax of the campaign. For this reason, the air battles of the 18 August 1940 became known as "The Hardest Day". Aircraft including 18 Spitfires and six Hurricanes, took off from Biggin Hill on Tuesday 18th August 2015, flying over south-east England to mark 75 years since the Battle of Britain's "Hardest Day". Brilliant Wall Art have a number of WW2 wall art designs, including poppy wall art, which are unique, colourful and creative. What is more evocative and symbolic of the pain and suffering, experienced by those people involved in world wars, than the iconic red poppy wall art? The red blood stains the battlefields of sanguine, poignant fresh growth of hope and optimism. 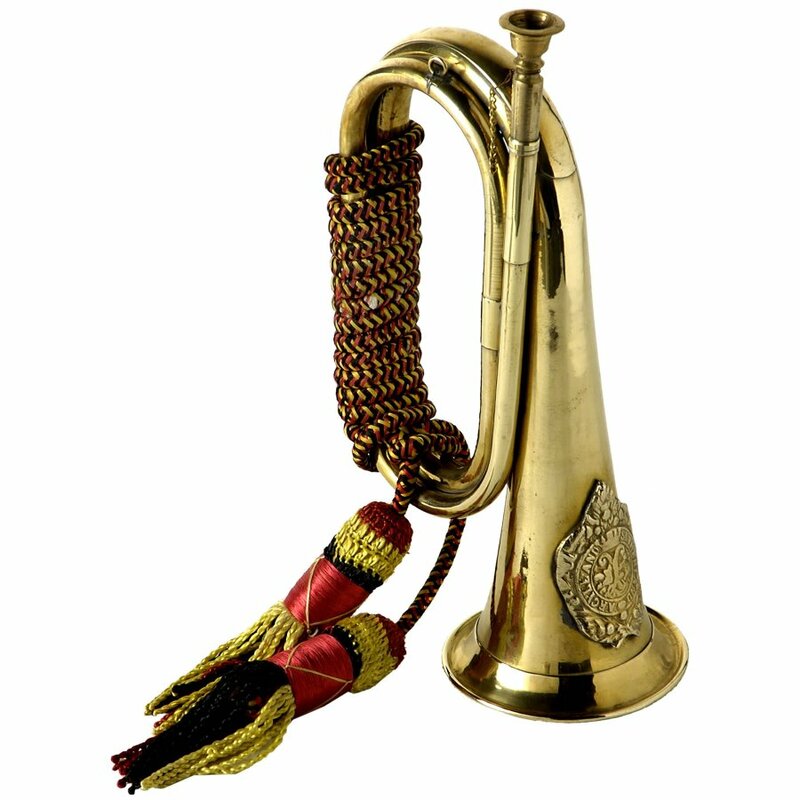 Our solid brass bugle remembers the “last post” whilst our retro aeroplane propeller, symbolises the ‘Hardest Day”.